A mild three weeks of July is finally giving way to a hot week of weather, but fishing opportunities are still immense in the great state of Oregon. Locally the McKenzie and Willamette are maintaining cold water temperatures. While the best of our early season hatches have certainly come and gone some good morning and evening opportunities still exist. Pale Morning Duns, Little Yellow Stones and smaller caddis are excellent patterns to fish on the surface during the low light hours. Get deeper when the sun is at it’s highest with Possie Buggers, Copper Johns and Jigged Pheasant Tails. Steelhead fishing remains solid with the Willamette producing most consistently. Smallmouth Bass – Both the Umpqua and John Day rivers get lower and warmer but the bass fishing remains great. Poppers early in the day and buggers and clousers subsurface catch fish consistently throughout the summer. Steelhead – The North Umpqua and North Santiam are excellent spots to check out this time of year. The North Umpqua is it’s usual tough self. The North Santiam is a bit of a sleeper with quite a few fish and less pressure in the upper reaches. The mouth of the Deschutes is getting some fish sneaking up the river as well. 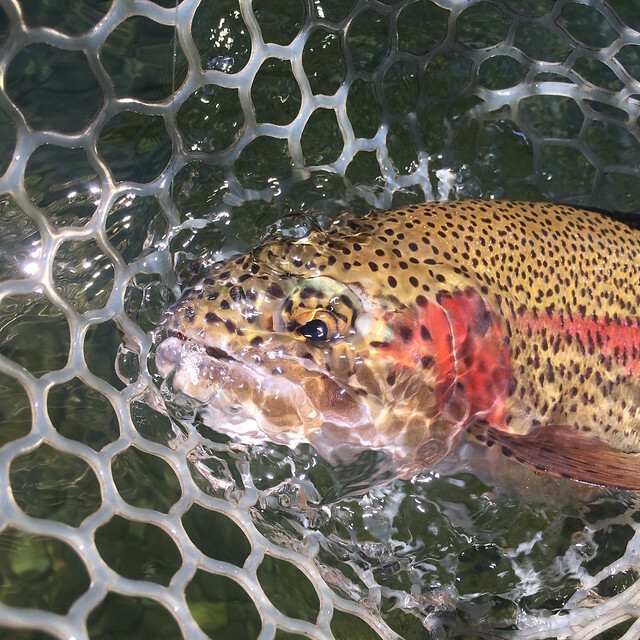 Trout – This is a forgotten time on the Deschutes. If you have time to get over and fish the lower river for trout you may find very few folks and plenty of willing fish in the eddies. All of the smaller waters in the Willamette Valley are worth a look, the Middle Fork above Hills Creek Reservoir, the South Fork of the McKenzie above Cougar Reservoir, bring your “attractor” patterns, wet wading gear, a 3wt, and have a blast. Oregon Coast – Tuna are offshore between 25-45 miles, Black Rock Bass are in close if you haven’t tried this prolific fishery give Pacific City Fly Fishing a call and give it a shot. High Lakes – Crane Prairie Reservoir is on and off with some beautiful fish being take on chironomids and slender leech patterns. East Lake is in the midst of it’s prolific callibaetis emergence and we have heard some good reports about Davis Lake as well. The days are already getting shorter and it will be fall before you know it. Get out there and enjoy some summer fishing!